The transfer window closed some days ago, and it was a weird one. It is being called the year of the comebacks with players going back to their previous employers. Today, we examine players who should have moved but decided otherwise unfortunately. You may look at it from the angle of the allure of staying in a team rich in history, or from the angle of proving himself in the hopes of winning Satan the manager’s heart with time. Or money. However, it is hard to understand why Bastian decided to stay at United. Mourinho made it clear, in a manner considered disrespectful, that he is not needed and would not play games. There is a delusion attached to the thought that he can convince Mourinho to play him, especially when he is not a cult hero or an icon at Manchester United. 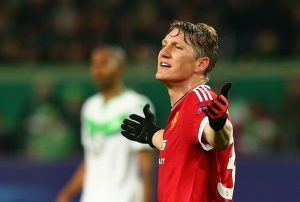 Bastian was included in the Premier League squad but not in the Eurpa LEague squad. 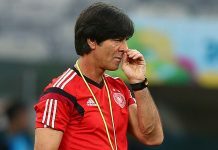 The German’s final appearance for country was on Wednesday against Finland, and it is unimaginable to think his club career will continue on the bench, or with the U-23 team in the Premier League 2. A move to the United States or any other team with the promise of regular first team football would’ve been the best, but his wage bill turned interested clubs away. 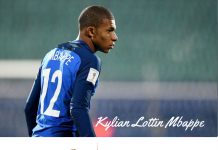 Contending with the likes of Herrera, Pogba, Fellaini, Schneiderlin, and Carrick for a slot at the middle will be no easy task considering his age, and fitness level are causes for concern. Getting out was the best option for him, he decided against that, and knowing the current manager of Manchester United more disrespect may follow. The verdict is that he will be dying for the January window to come. While waiting, he must not forget that help will always be given at Bayern for club icons who need it. The fanfare that greeted the signing of “another Cristiano” is gone, and the fans have come to terms with the unbelievable disappointment they witnessed last season. Depay was largely underwhelming throughout the previous campaign and it is clear he won’t get the same opportunities he got then now. The emergence of Rashford, the arrival of Mhiktaryan, Mata’s game time, and Martial mean Depay will not have the chance to constantly deal an emotional blow to fans heart from the wings like last season. A season long loan move of rediscovery to a challenging team in a challenging league could have aided him greatly but the decision to stay might be related to Mourinho’s ability to develop his game. With Manchester United contesting in Europe, Depay may be required to fill in for tired legs, and underperforming for a manager who regards the team as number one will spell the end of his United career. The rumour mill had it that quite a number of teams wanted him but nothing materialized. He has not commanded a spot in Madrid’s starting line-up under Zidane because of the performance of the trio of Modric, Kroos and Casemiro. A player of his quality ought to be starting games, but managers know best. James’ decision to stay and fight is commendable, but it is unlikely to make Zidane lose faith in his three midfielders. Chelsea and Arsenal wanted the Playmaker but couldn’t agree on a fee. Happenings from now to December will be crucial in determining whether James stays or leaves, but a player that dazzled at the World Cup in Brazil should have no problem getting suitors whenever he decides to move. The attention was focused on Pep Guardiola immediately he was announced as the new City manager, and also on Yaya Toure. Their history can be traced to the Barcelona days where reports have it that the lack of a great relationship between them led to Yaya’s exit from the team. The announcement of a new boss was an indication to many that Toure’s days at Manchester City was numbered; with Agent Dimitri Seluk making it clear that his client won’t play for the club under its new manager. Inter Milan was the club he was linked to, and it ended as just a link. The window was an opportunity for Yaya to sever links with the former Barcelona and Bayern manager, and move a team without a tense atmosphere. The exclusion of Yaya Toure from Manchester City’s UEFA Champions League team for the group stage suggests the extent to which he is needed in the team by the manager. The decision to not find a new club was a clear mistake which will be rectified in the January window. The Arsenal player just can’t mount a strong challenge against Bellerin, who is arguably the best right back in the league, for that position. 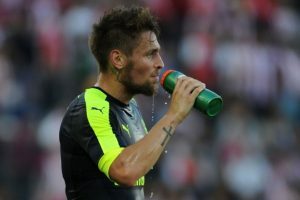 Injuries have played a role in limiting Debuchy’s chances; he left on loan to Bordeaux to have a chance at featuring at the Euros but missed out because of injuries. These injuries may have turned potential suitors away although a January move is possible if his fitness level is considered okay. Satisfied. Bellerin’s rise to the top means he’ll be the preferred choice at right back and his inability to move away means he’ll be second choice.